In my last post, I offered you a glimpse into the life of America's favorite First Lady, Jackie Kennedy. 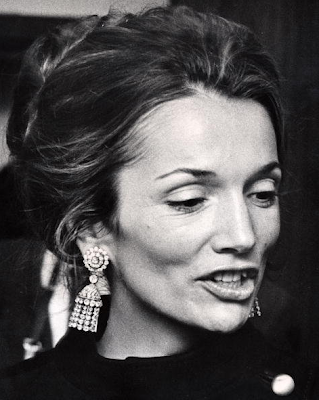 Now, I'm going to introduce you to her fabulous younger sister, Lee Radziwill. Lee was a fashion icon in her own right. She was also a princess. But no matter what she did, or what she wore, she always got stuck in her sister's shadow. Lee was four years younger than her beautiful sister. 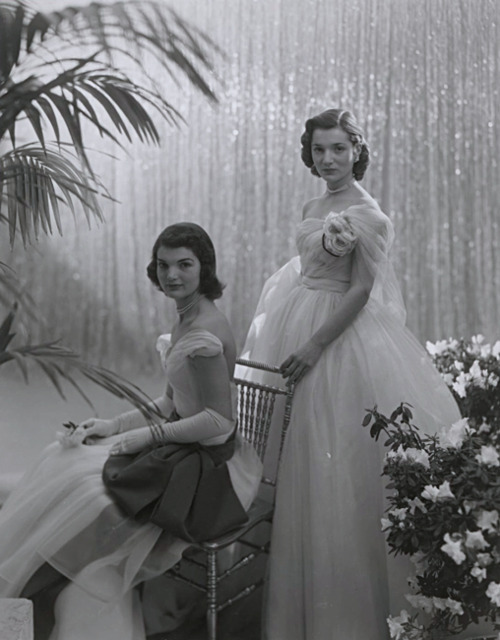 They both attended boarding school and upon graduation, the girls grew extremely close. They two young debutantes set off to Europe together, looking for romance and adventure. Both girls married extremely young. Jackie, of course, fell in love with a handsome young senator from Massachusetts. Lee, however, married a publishing heir when she was 20. Her relationship was doomed from the start and ended in annulment. Years later, Lee would confess that she mostly married her first husband in order to get her own apartment and be more independent. Single girls back then didn't leave home before marriage. Six years later, the gorgeous American fell in love with the older, charming Stanislaw Radziwill, a Polish prince. He quickly divorced his wife and married Lee. The couple had two children, a boy and a girl, who were similar in age to Jackie Kennedy's kids. The four children would go on to be life-long best friends, just like their mothers. The couple moved to England, where they had two homes: a London townhouse and a country manor. Both homes were visited frequently by Jackie Kennedy, who often sought refuge from a relentless flood of journalists, desperate to catch a glimpse of America's Sweetheart. 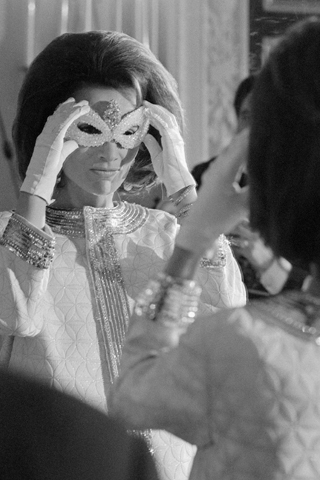 While Jackie's husband was president, Lee accompanied her sister on trips all over the world. It was almost like their girlhood adventures! Lee was also a very welcome guest to the White House, where she dazzled politicians with her beauty and intelligence. 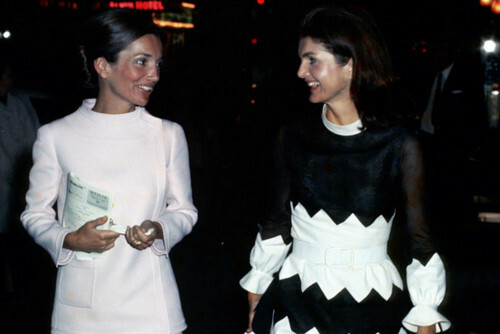 Jackie and Lee were like the Kate and Pippa of their day, charming the media, and the world, with their impressive style and exciting lives. In 1974, however, Lee's marriage came to a screeching halt. She divorced the prince and focused on being a jet-setting socialite. 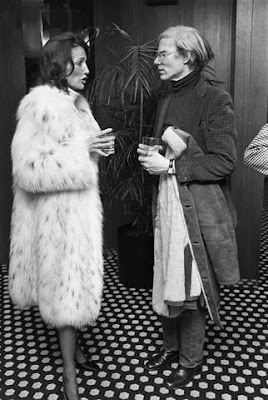 Her close friends included Andy Warhol and Truman Capote. In the mid-1970s, Lee also became famous for her design skills. Her homes were often featured in magazines. Lee's style became so sought after, she became an interior designer herself, decorating the mansions and penthouses of her most wealthiest friends around the world. Four years after her divorce from the prince, Lee fell in love with Newton Cope, a hotel magnate. But five minutes before their wedding ceremony, both of them got cold feet and took off, leaving bewildered guests alone, sipping on champagne and wondering what was going on. Throughout her life, Lee insisted she was never jealous of her famous, more revered older sister. But rumors and observations took their course. Gossip columns chugged out stories spilling that Lee had been having a steamy affair with Greek shipping tycoon Aristotle Onassis, and was secretly devastated when he married her sister. 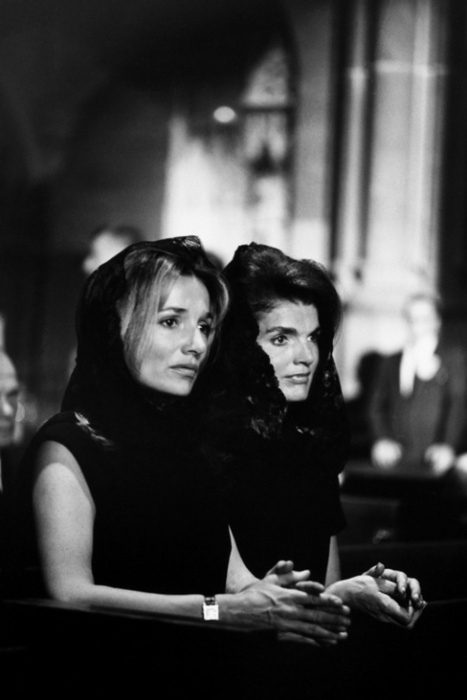 Also, after a nasty fight with her best friend, Truman Capote, the flamboyantly gay author went on several talk shows, revealing that Lee had always been bitter of how much the world was obsessed with Jackie. Despite the negative press, Lee held her head high. She married a film director in 1988. She even became the public relations specialist for her dear friend, Giorgio Armani, the Italian fashion designer. Today, she is still beautiful and stylish. The 79-year-old is often seen at the hottest fashion shows around the world and she is the subject of many fashion blogs. She even gives media interviews now, providing the world a first-hand account of her sister, Jackie. What do you think of Lee Radziwill? I expected this post after your last write up on her sister. 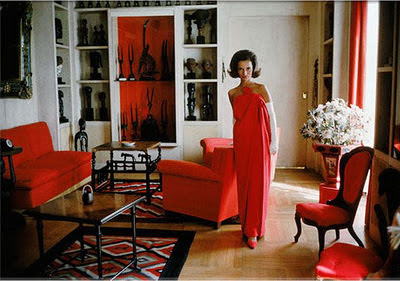 Lee Radziwill has a certain inner style. This goes beyond age. Wow. What an incredible life story. And she aged beautifully and gracefully. you are so awesome! what a fantastic post!!! she is so incredibly elegant. Wow, I actually think she was more beautiful than her sister, and so stylish! Loved learning more about her! WOWOWO- whatta post!I never knew about Lee! Her name does ring a bell but I never realized that they were sisters.....boy, what a resemblence! They are both SUPER SUPER stylish and gorgeous! SOOOO cool that she is Arman's pr gal and still doin' her thang! She is so beautiful and what an amazing story!! Btw I saw on my blog you mentioned you wanted mint green pants, they have some lovely ones at The Urban Outfitters! This is such a great post and thank you for the lovely comment you left on my blog, I am now following you. I think that I love this woman. I never knew about her! I certainly want to learn more about her now. I think she is elegant and very classy looking. It must have been very difficult for her living in her sister's shadow all the time. Thanks for sharing this post! 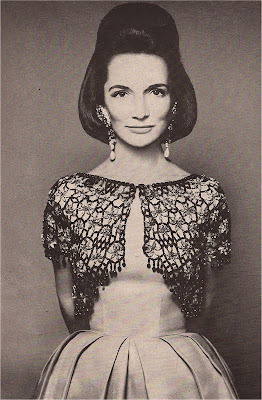 Lee Radziwill was definitely just as fashionably inclined as her sister. I loved learning more about her. I love this post so much! 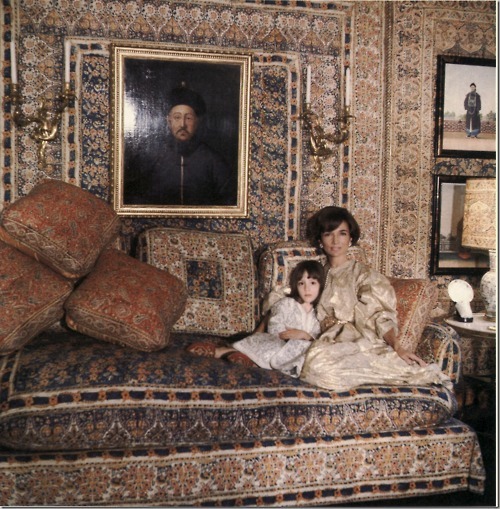 I'm a huge Jackie O fan and love to read about Lee too. Both ladies were so elegant and chic. Wow. Wow, she's so graceful. Thanks for posting. An incredible write-up!Such a lovely post! Thanks for stopping by and commenting! You have an amazing blog and I'm following you! i think she's one of my new faves. you're constantly introducing me to some awesome and interesting people. I think it sounds like Lee lived a wonderful life, and I see no reason for her to have felt like she was in Jackie's shadow. She was a princess after all. She sounds wonderful and has a very charming personality! You're like, the coolest history professor I've ever had lol. I always learn so much from you! I didn't even know Jackie had a sister. This is really bad but I had no idea that Jackie had a sister! This is a great post and I feel like I learned something. She did make a name for herself, and could be an interior designer as well as a publicist. I agree, this is the old world kate and pippa! I love her fashion style. Thanks so much the history. I love this post. I never knew of her, and it was great getting to know this incredible person! wow- separate they are beautiful, but together its unreal! She sounds like an interesting person, and I could see how it would be really hard to live in the shadow of such an "icon." It always seemed like their family was so messed up too. i absolutely loved this post. i stared at every picture for what felt like forever! thanks so much for coming by my blog. so glad you did because we're following you now! It must be tough to be a sister of someone so famous and trying to make your own mark. Thanks for visiting me and commenting. Let me know whether you like to follow each other. Will follow you right back. She seems so stylish and glamorous. I wouldn't believe it would be wrong if she was jealous of Jackie. It's normal. Everyone would be. 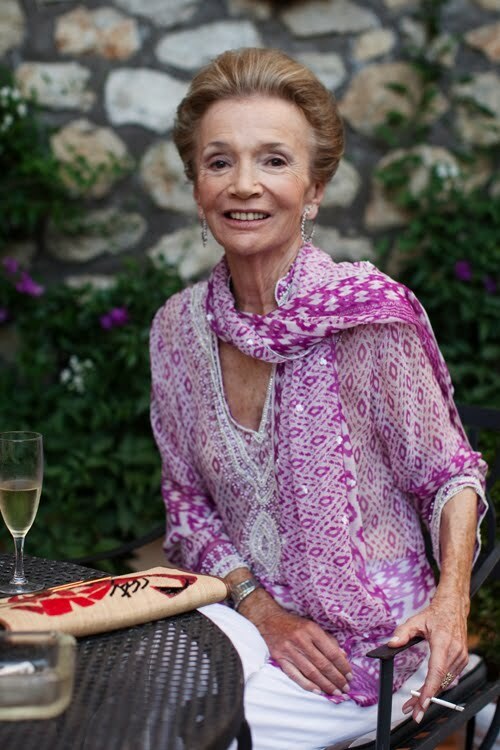 Even she is 79, she is still so elegant! So tragic (if she really secretly hated her sister) and so dramatic! She has definitely lived a full life! This is such an interesting read. Gosh, I'm so pleased you left a comment on my blog because it has led me to yours. 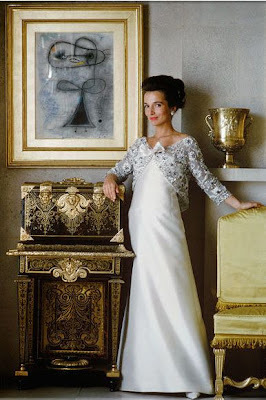 I've heard of Lee Radziwill but I know little about her life. Wow. I knew nothing about her story. She lived an absolutely fascinating life and she was/is stunningly beautiful. I didn't know ANYTHING about her... She certainly was fabulous! Lee was viewed by contemporaries as MORE beautiful than Jackie, whose wide face and more athletic body were not considered as beautiful as Lee's delicate features. You didn't mention that Lee fought alcoholism, a lifelong battle, with Jackie sometimes driving her to AA meetings in later years. And Lee was estranged from her children, esp her daughter from time to time, and the daughter (Anna) would go to Jackie's apartment to live. Lee always needed money, and Jackie gave it to her, and then gave her nothing in her (Jackie's) will, saying "Lee had been amply provided for during my lifetime." Lee was publicly pissed about that. You also didn't mention that Lee is suffering from Alzheimers now, as did her mother before her death. This came out when Lee's daughter-in law Carole went on one of those "Housewives" shows, and Caroline was quoted as being disappointed, and also disappointed that Carole did not help tend to Lee now. Caroline seems to be doing all the work re Lee. Jackie said "Lee was always the pretty one, and I was supposed to be the smart one, I guess." Well it certainly is true, when we look back, that Jackie was extraordinarily intelligent, well-read, wise, and determined. And Lee was not. Anonymous, do you know Lee personally? You seem to have an intense dislike for her. Everybody has struggles in life, some greater than others. Who are we to judge? i feel sad for ms. raziwell. it seems her artisic nature was always in the shadow of something or someone. yet she never gave up on this very dear part of herself. she is unique and yummmy. Where do you find support for your idea that Lee introduced Max Jacobson to the Kennedys? And what supports your idea that Jacobson's drug cocktail was PROVED to be the cancer-causing element of Jackie's Hodgkins? I'm not aware that Jacobsen's ingredients are known, specifically. My understanding is that no one knows exactly what causes cancer. It could as well have been a lifetime of smoking. Or, the injuries from the fall off her horse just months before her death. I'm not saying you are wrong, but what makes you think you are right, beyond merely "thinking" this? 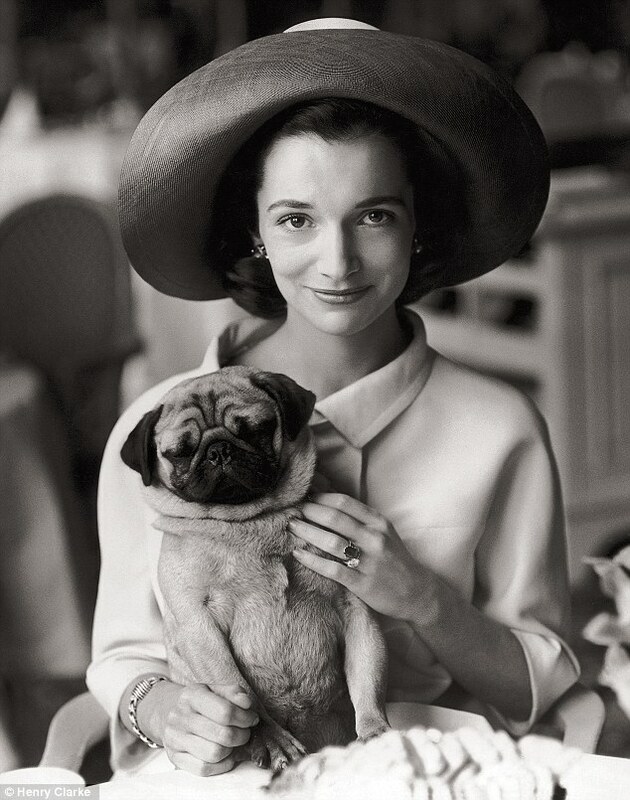 Ms. Radziwill's second husband's title of 'Prince' was a meaningless title, with no real power or authority behind it. It was more like a 'social pretense of self-aggrandizement'. (Sounds like Lee also broke up his marriage.) In San Francisco, it was believed at the time that Lee didn't marry millionaire Newton Cope was because she did not like the pre-nuptial he had drawn up -- it didn't favor her sufficiently, even though she brought no real substantive wealth to the union. Although her beauty is extolled even today, I am sorry to say but to me her face looks scary, very skeletal. Although she may have been a great beauty, there are no remnants of it today. Finally, what are the great causes she has supported, what are the charities, if any, has she been aligned with. What contributions has she made that will outlive her? A self-serving life, dedicated to the purpose of public fame, is not necessarily a life well lived. Tom Hanks' Gangsta Son Revealed!